Harry spoke to four year old Sofia Zdenkowska (second left) after moving in to his new home with Meghan. Source: Getty. Prince Harry has shared his excitement ahead of the birth of his first child as he chatted to royal fans at a charity event – as it’s revealed he and his wife Meghan have now officially moved into their new home at Frogmore Cottage in Windsor. The Duke of Sussex, 34, delighted four-year-old Sofia Zdenkowska as he bent down to greet her at the Lord Mayor’s Big Curry charity lunch on Thursday, before speaking to several fans in the crowd outside. 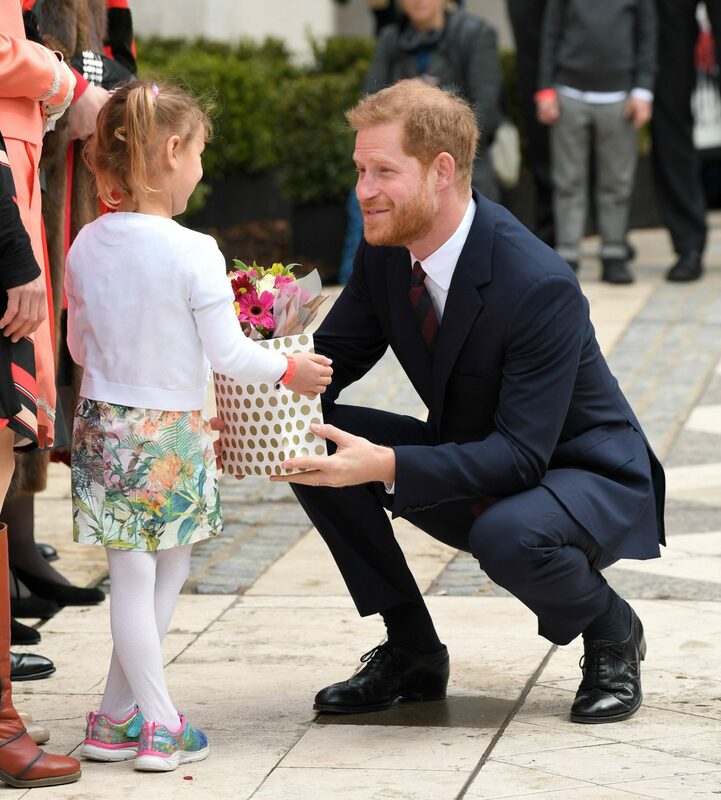 Prince Harry delighted the young fan by shaking her hand. Source: Getty. Meanwhile, following months of anticipation, Harry has now officially moved into Frogmore Cottage with Meghan, the BBC reports. It’s thought the couple wanted to ensure they were moved in before the birth of their baby – with the tranquil country setting offering Meghan a relaxing escape from the spotlight in the weeks before she gives birth. Kensington Palace confirmed the royal couple would be officially leaving their recent residence of Nottingham Cottage in the palace at the end of last year. “The Duke and Duchess of Sussex will move to Frogmore Cottage on the Windsor Estate early next year as they prepare for the arrival of their first child,” Kensington Palace confirmed in a statement shared on Twitter. “Windsor is a very special place for Their Royal Highnesses and they are grateful that their official residence will be on the estate. The move was delayed as the cottage underwent a large refurbishment to transform it from staff accommodation to a family home. “It’s been all hands to the pump. The builders have worked all week whatever the weather. But they keep making changes, particularly on the layout,” the source said at the time. The property has a special meaning to the soon to be parents as it is where they held their private wedding party and had their beautiful engagement photos taken.